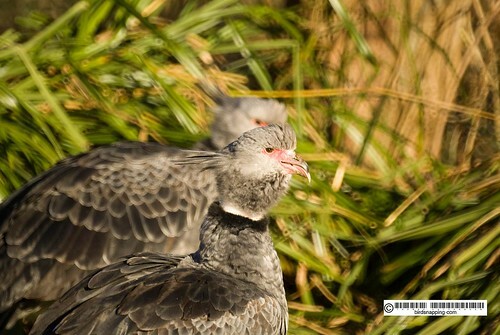 I took these pictures of the Crested Screamer while at Slimbridge Wildfowl and Wetland centre. 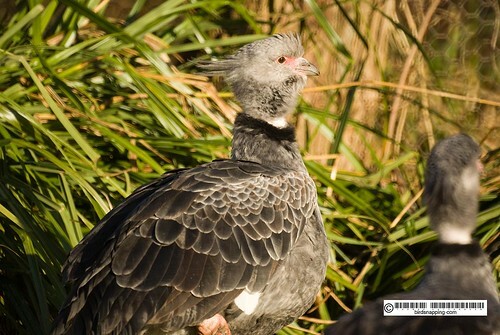 The Crested Screamer also called the Southern Screamer (Chauna torquata) is a native of South America. 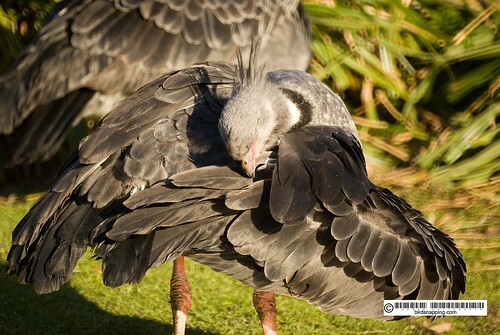 Although it id a waterfowl, its feet are not webbed and it prefers to spend most of its time on the ground. 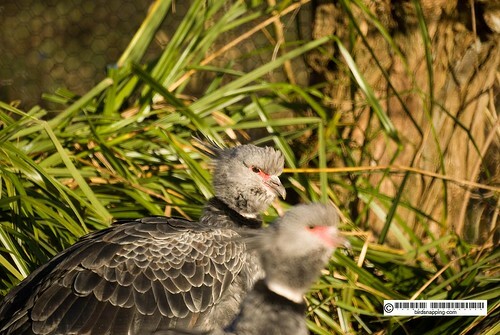 They possess spurs on their wings, which they use as defence against other birds and enemies. 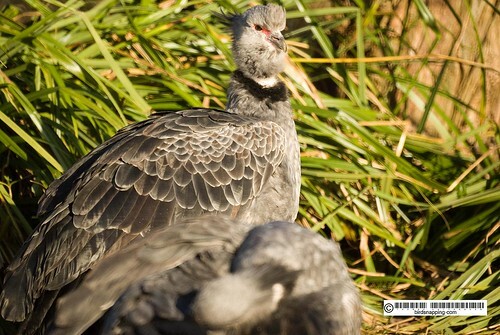 These birds are monogamous and stick to a single partner for life. Its diet is mostly vegetarian consisting of stems seeds and leaves of plants but they may occasionally include small animals. They are not considered threatened with regards to their conservation status. 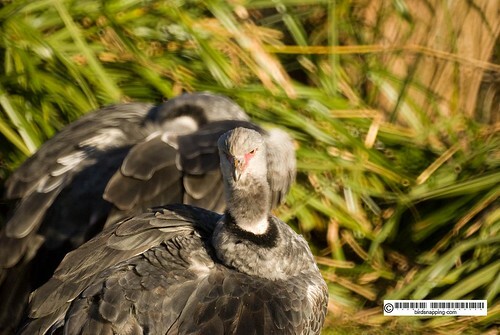 The average lifespan of this birds is about 15 years. 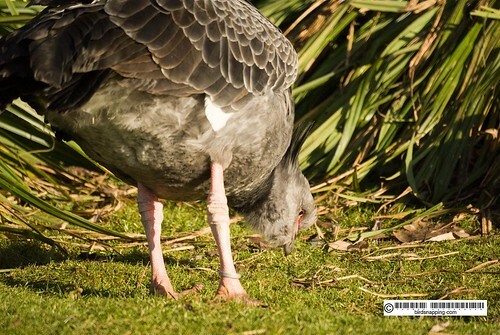 It was certainly one of the most eye catching birds we came across in Slimbridge. If you look closely at the first picture you may notice the bird sticking its tongue out! My Best Kingfisher Snaps Yet. That's a great Name! 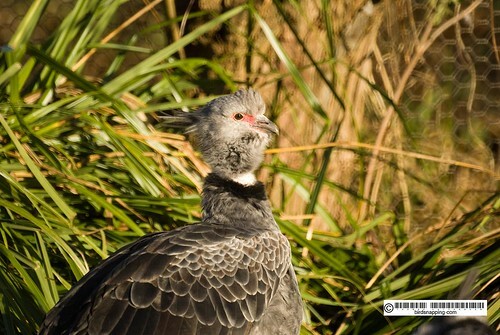 "Crested Screamer" Thanks for your post. You have taught me yet another bird I have never seen or heard about. Keep on doing what you love, and it seems like birding is that Love for you. Great photos! I really enjoy coming to this blog each week and seeing the great photography and the Excellent info. Very beautiful birds. Nice set of photos. :))) I take pictures of birds of South India. Sorry if I am posting this twice! Very cool bird. I'd never heard it. It's always fun to come here and see and read about new birds.